Liczba stron: 325 Jest to ujednolicona liczba stron, która ułatwi Ci porównanie długości książek. Każda strona Legimi to 200 słów. When the world crumbles around you, how do you keep hope alive?Mallory, escaping a damaging relationship, struggles to navigate a chaotic world…where a viral outbreak turns helpless victims into ruthless zombies.Ty, who’s only recently gotten his driver’s permit, is abruptly thrust into adulthood as he desperately seeks to save his young sister. He makes a fast friend in a German shepherd yearning for companionship and love in this new, dangerous world.Charlie, restlessly searching for meaning in his life, learns meaning is elusive during an apocalypse. 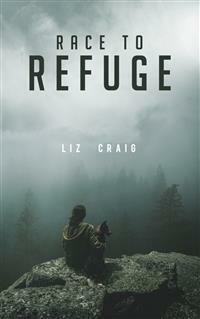 Tremendous obstacles provide him with new self-discoveries.If they can escape the constant peril and find refuge, can they forge a new life from the ruins of the old one?Race to Refuge rivets readers with mild thrills in a novel that’s not about the zombies…but about the people striving for elusive shelter and a future of hope.